Jenifer Metzger : Why Do We Call It Christmas? I've shared before that Christmas is my favorite holiday. I love celebrating the birth of our Savior. But what does cutting down trees, hanging stockings and other Christmas traditions have to do with the Lord's birth? More than you'd think! Phil Vischer, the creator of Veggie Tales, brings us a brand new What's In the Bible with Buck Denver DVD called Why Do We Call It Christmas? My younger kids love watching Buck Denver and his news reports. It's a great way to get important Biblical information in a way kids understand. 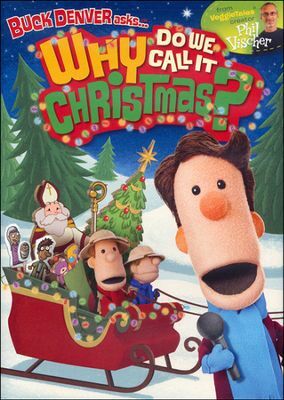 To win a copy of Why Do We Call It Christmas? complete each task in the rafflecopter below.